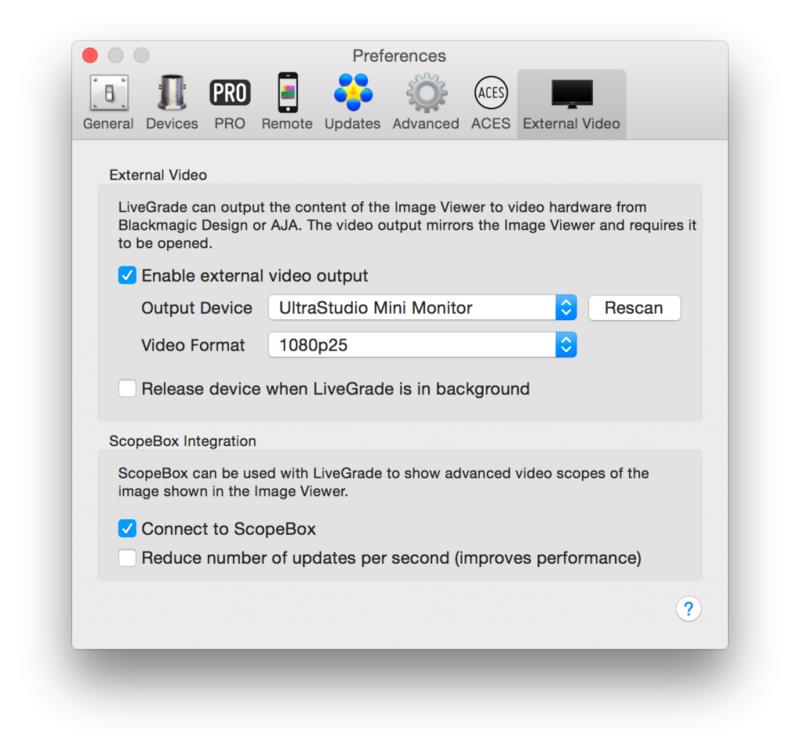 For a list of supported capture devices in LiveGrade Pro 3 and 4 please see the article SDI Signal Recording and Frame Grabs. Please be aware that the Ultrastudio Express can only be used either as an input or as an output to or from LiveGrade. It can not be used as in- and output at the same time. This is due to hardware limitations of the product. The output will show the loop through of the signal that is not equal to an output out of LiveGrade that mirrors the Image Viewer and can contain looks or a reference image. To enable the HD-SDI device in the preferences. Go to “Preferences>External Video”. Choose the intended device from the dropdown. Additionally you can choose to release the device when LiveGrade Pro is in background. By default it will be kept even if LiveGrade Pro is in background. The HD-SDI output will display the Image in the Image Viewer. The Image Viewer has to be opened in order to send an image to the HD-SDI output. You can set a reference for the current Image Source to attain a split screen to compare two looks or stills. The reference will also be visible on your external HD-SDI reference monitor. Fig. 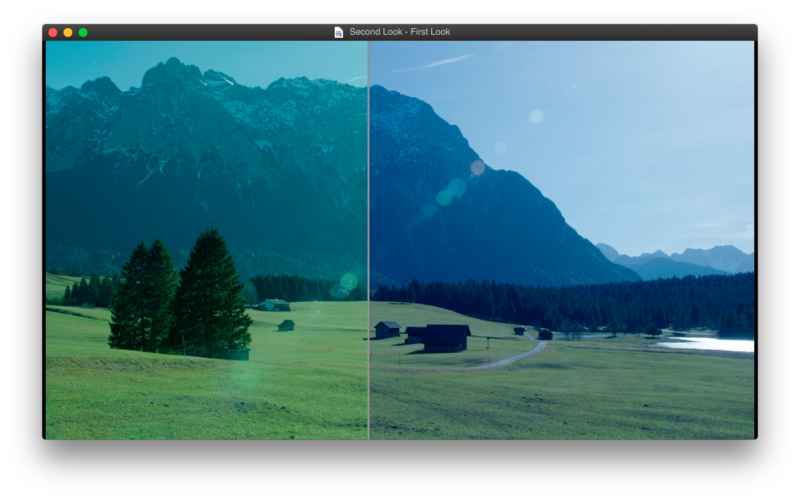 3: LiveGrade Image Viewer with a reference image set in split screen.